Everything you need for moving and storage. 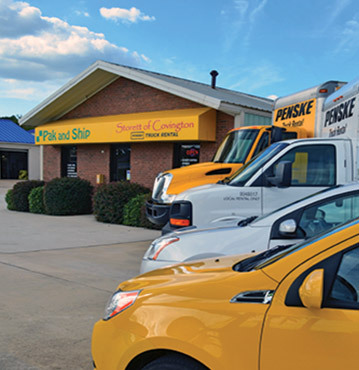 Our self storage facility offers long and short term storage units in Covington. We offer indoor climate controlled and secure outdoor space. Pak and ship offers Fed Ex shipping, package receiving, package services, package supplies, copy and fax service, ink and toner. One way and local truck rental available to help you move. We’ve got trucks of all sizes for rent if you need help shifting your possessions from house to unit. Local and one way car rental from economy to vans. 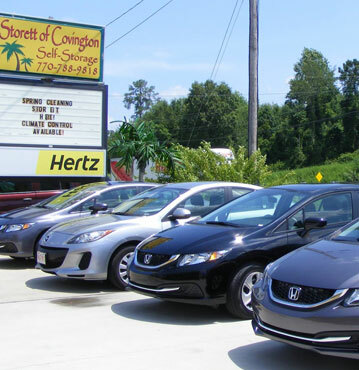 Storett of Covington can help you with insurance replacements or walk-ins for all of your travel needs. Cleaning out closets, garage, attic or basement? Storett of Covington has a solution for all your storage needs. Protect your valuables and family heirlooms from mold, mildew, and “pests” of all kinds in our climate controlled units. 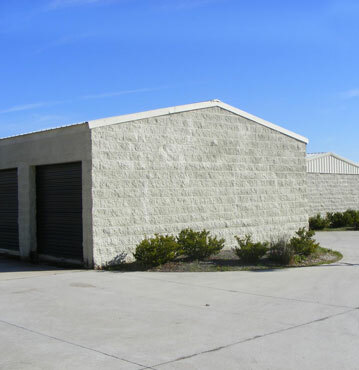 You can feel secure with our totally fenced, gated, clean and well lit facility. Outdoor storage units from 5×5 to 24×32. Outdoor parking to store your boats, trailers, RVs, cars etc. in our totally fenced, gated secure storage facility. 4’x8′ Trailer. This space is similar to a small closet or half bathroom. 6’x12′ Trailer. This space is similar to a Pickup Truck or Cargo Van, Walk-in closet. This space is similar to a large walk-in closet or a small bedroom. 15′ Moving Truck. This space is similar to an average size bedroom. 20′ Moving Truck. This space is similar to a large bedroom. Furnishings of two bedroom apartment or small house with appliances, patio furniture and many boxes. OR a vehicle or small boat. OR it is big enough to fit carpet rolls and building materials. 24′ Moving Truck. This space is similar to a small one car garage. Furnishings of two bedroom house with appliances, patio furniture and many boxes. OR a vehicle or small boat. OR construction equipment. 26′ Moving Truck. This space is similar to a large one car garage. Furnishings of three bedroom house with appliances, patio furniture and many boxes, garage extras and miscellaneous. OR a vehicle or boat. Extra long one car garage. Storage unit size examples should be used as a guide only, as a more suitable option might be advised by our staff. Call us at 770-788-9818 to speak with one of our team members.